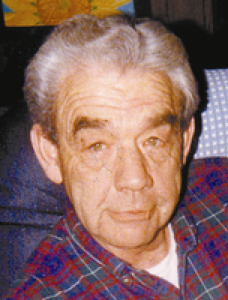 Edward L. &quot;Sonny&quot; Weiskittel, 76, of Sidney, formerly of Port Jefferson, passed away Saturday, May 20, 2006. He was born January 17, 1930 in Sidney, the son of Henry and Henrietta (Schemmel) Weiskittel. On December 24, 1970, he married the former Dory Buck, who surives. Other survivors include three daughters, Charisse Sptizer of Schererville, Indiana; Laureen Weiskittel of McCartyville; and Vivian Amsden and her husband, Andrew of McCartyville; a stepson, Bob Buck II and his wife Diane of Sidney; a stepdaughter, Annette Schulze and her husband Gregg of Sidney; 13 grandchildren, Chris Sptizer, Bob Buck III, Amy LaRue, Ben Spitzer, Tiffany (Buck) Hickerson and her husband Ben, Ian Schulze, and Edward, Alinc, Emily, Aaron, Evan, Andrew David and Ethan Amsden; and three great-grandchildren, Dakota, Paige and Trentin LaRue. Mr. Weiskittel graduated from Holy Angels High School in 1948. He served in the U.S. Air Force during the Korean War and was stationed in Okinawa. He retired from the Sidney Post Office in 1985 after more than 30 years of service as a mail carrier. After his retirement he worked at Brubaker&#39;s Used Car Sales in Sidney and as a caretaker at Pearl Cemetery. He also served a short term as mayor of Port Jefferson. Private graveside services are planned at Fairview Cemetery in Quincy. An open house will be hosted by the family on June 3 with a time and location to be announced later. In lieu of flowers, donations may be made to The Alpha Center in Sidney.